AdvancedHairResearch.com - www.advancedhairresearch.com Review | Incredible: 100% Recommended. I will focus on the results of my hair because I understand that’s what you all want to know! Firstly, my temples have grown back to the point where I have 1 cm recession on the left side and around 1.5 cm recession on the right – it’s strange, my right side was noticeably more recessed than the other side. It also receded in a peculiar shape – instead of a V, my hair on the right curved, sort of like ( if that makes any sense. I also have lots of light coloured hair extending down to my juvenile hair line, which makes me optimistic that my hair regrowth hasn’t finished yet. Secondly, my crown was also beginning to thin, to the point where my hair whorl was more like a small bald spot. This has got much thicker and the whorl has a defined shape. In general, the individual hairs are thicker and stronger (they used to curve, but now the majority of hairs are straight). 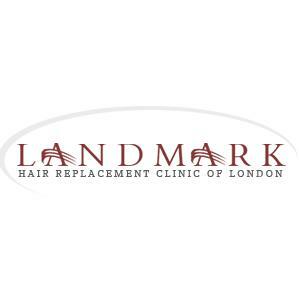 My hair is darker on the top of my head, so as there is no difference in colour with the hair on the side and back of my head – I had noticed my hair on top was slightly lighter and looked drier before I started this regime. As an additional bonus, my skin now tans well – due to increased melanin production triggered from food I eat. Muscle mass and tone has improved dramatically after following the nutrition and exercise plan. My belly has completely gone! This has all happened within a year, and if I’m being honest, I slacked off a bit towards the end few months of last year. Thus, I think it’s around 9 months of around 70% dedication. I quit smoking just over 6 months ago, and since then I’ve tried to give 90% effort. It’s crazy that I now have more hair than I did 1 year ago, when conventional wisdom dictates that hair loss is a progression and reversal is only an option if you sign a contract with Mr PharmaC. I’m in the best shape of my life because of the inspiration from the book. So, I’d like to say a big thanks to the person I dealt with – a genuine big thanks. And to the rest of you, I would say good luck but I’ve realised we create our own luck in this world. All you need is willpower and the discipline to manifest that willpower into action. We’ve all made it this far because we’ve made the decision to challenge our hair loss and had the determination to act on that decision – all the best.